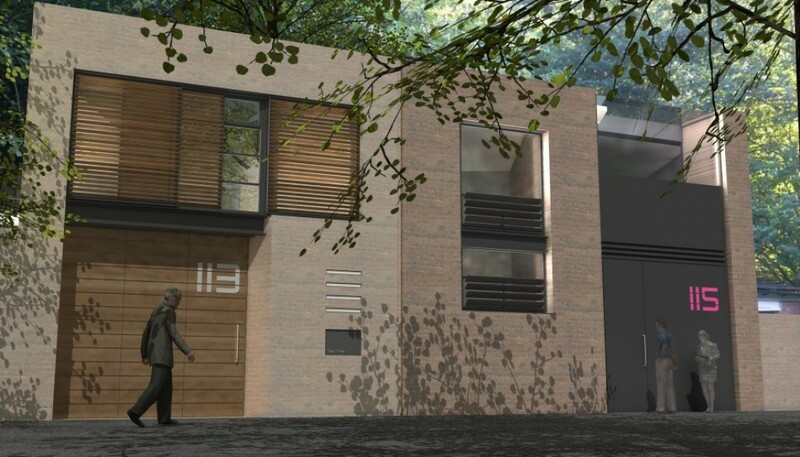 We have recently been contracted to carry out the construction of two new bespoke houses to plots at 113 & 115 Ouseburn Road. Current neighbours are looking to downsize and relocate from their respective Victorian terrace houses to the bottom of their long back gardens. Narrow garden plots run down the steeply sloping Ouseburn Valley side, to front the quite backwater of Ouseburn road and the Ouseburn River. he new houses have been designed to sit side by side and will be of same height and will share the same building lines – tight to the street frontage and adjacent boundaries. A concern in the location of the new buildings within this leafy area was the impact upon the view of the site from the existing houses above. Fully planted roofs to the new buildings maintain the green outlook over the valley when viewed from the original houses above. The new houses utilise all available space to create open plan family living over two floors. 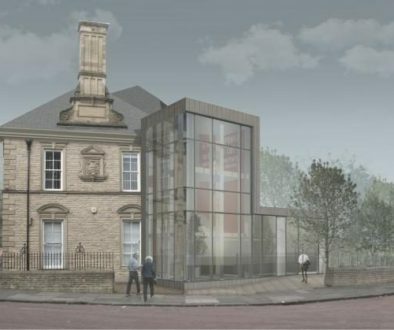 Extensive glazing and carefully placed roof lights maximise the connection to light and the beautiful leafy context.